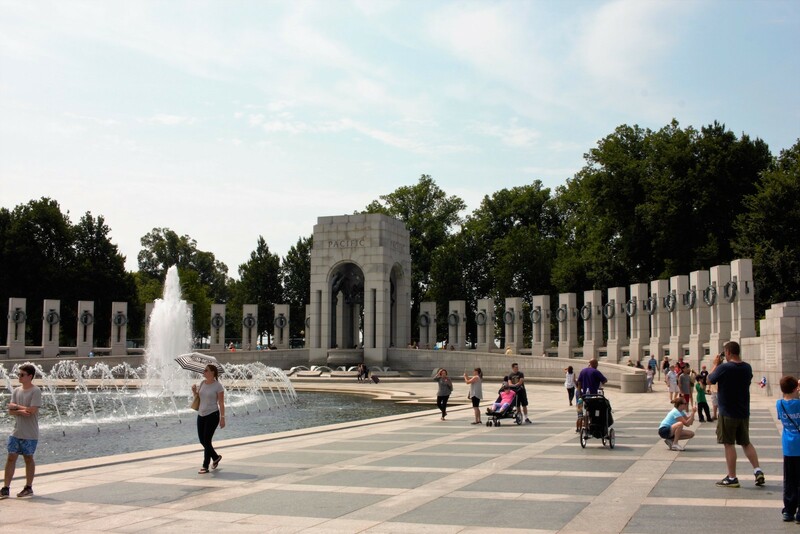 Southwest and Southeast Washington, D.C.
World War II was a pivotal period for many countries. 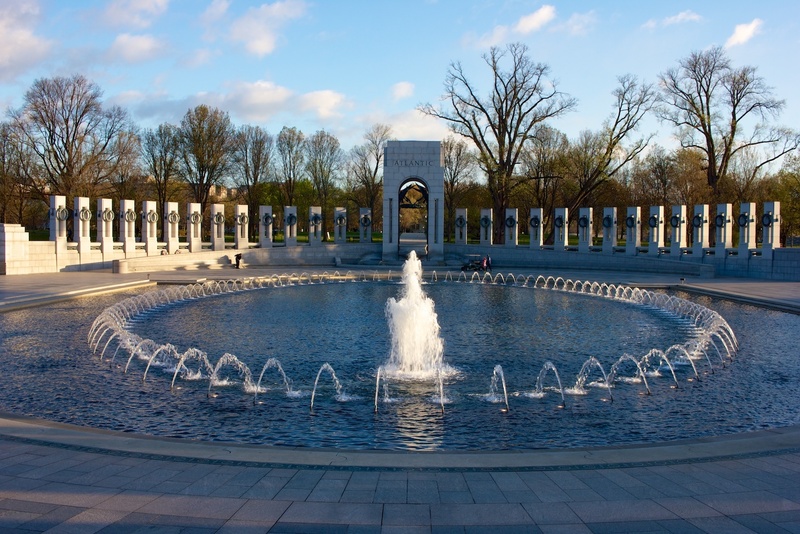 For the United States of America, it represented a time – some would say the last time – when the entire country was united in a singular cause. 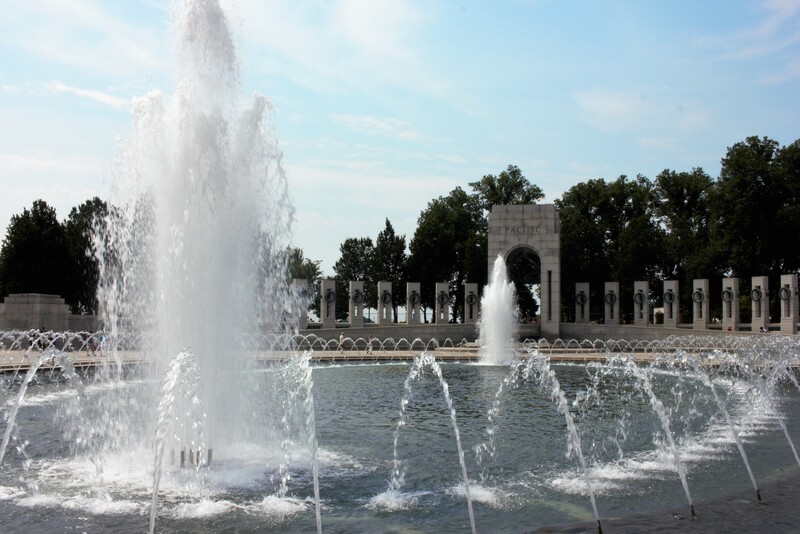 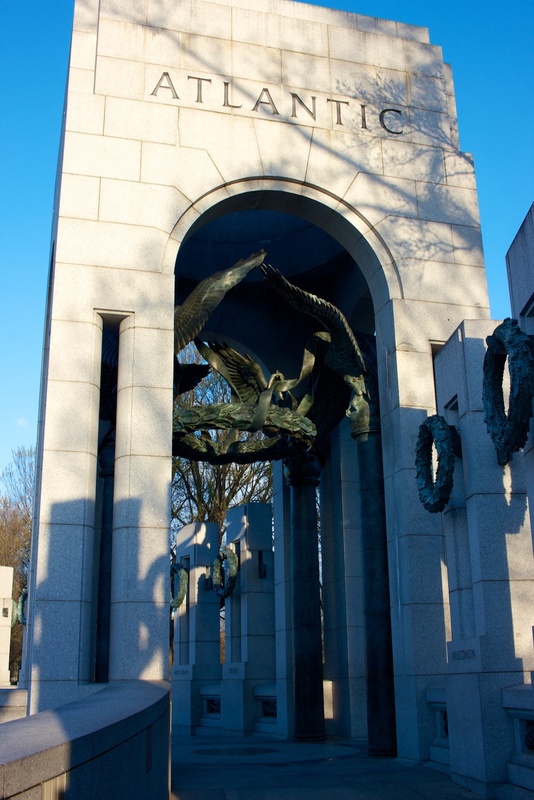 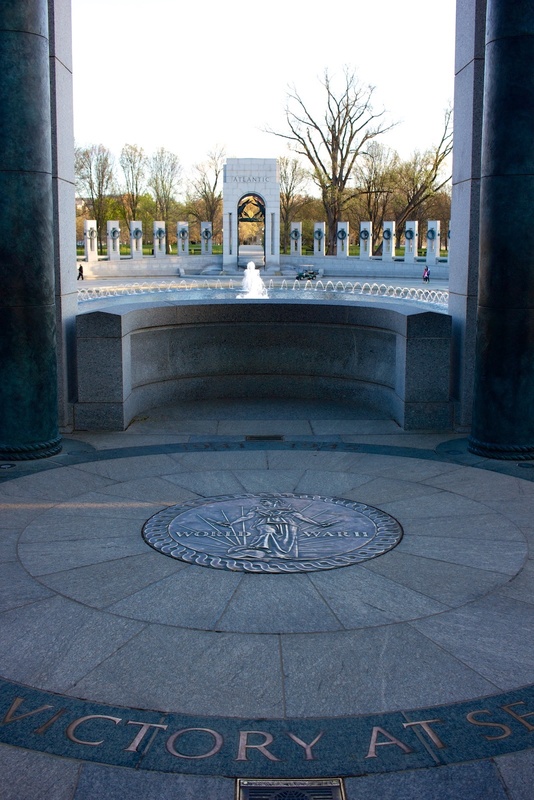 The World War II Memorial represents this unity by lining the elliptical monument with 56 pillars representing the 48 states (at the time) along with the territories of Alaska and Hawaii, the District of Columbia, the Commonwealth of the Philippines, Puerto Rico, Guam, American Samoa, and the U.S. Virgin Islands. 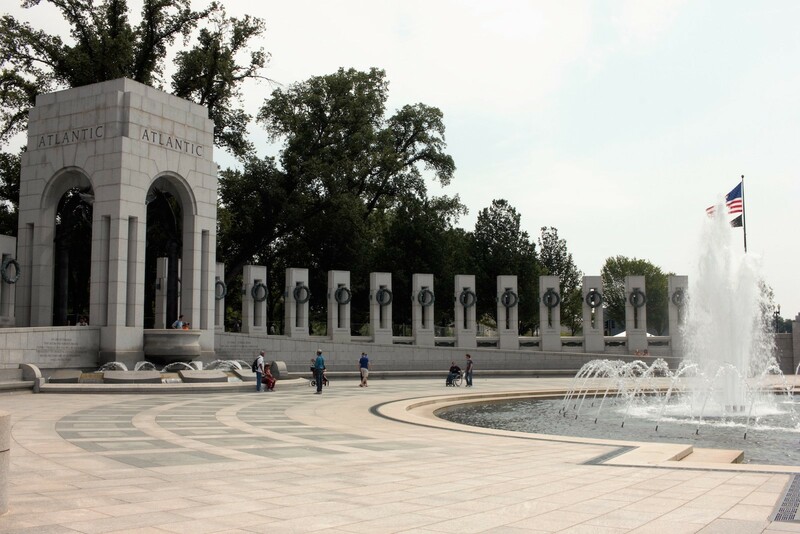 These pillars form the ends of the memorials oval, with 43-foot arches acting as midpoints for the curves. 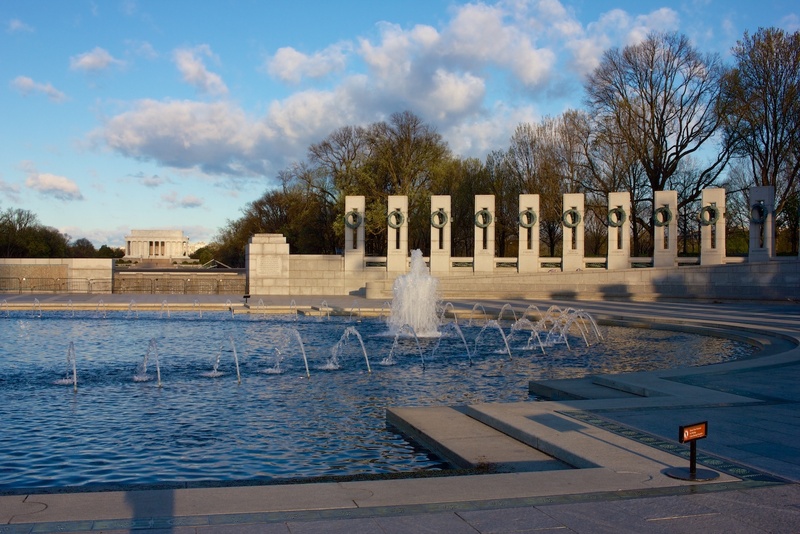 Each side represents a different WWII campaign, with the north being “Atlantic” and the south “Pacific.” In the center of the memorial is a 246-foot wide, shallow, fountain-laden pool. 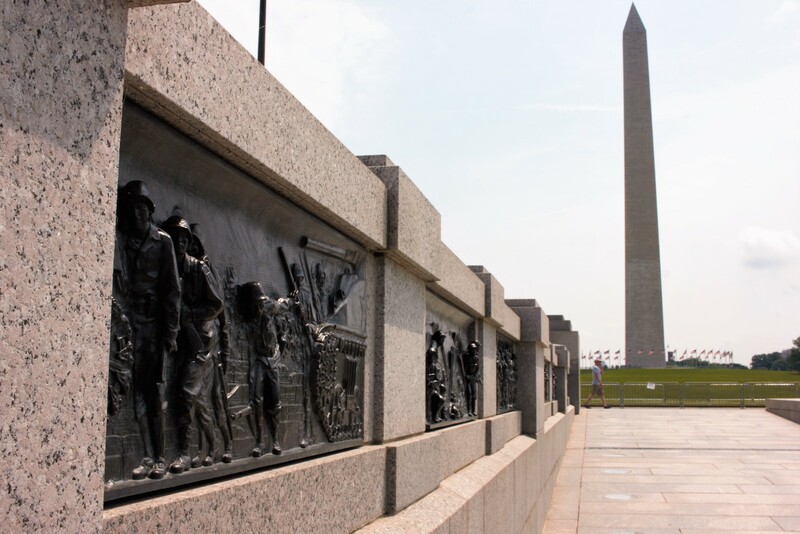 The walls of the memorial are inscribed with scenes depicting each stage of a soldier in the war, from troops being issued uniforms right through a handshake agreement of peace. 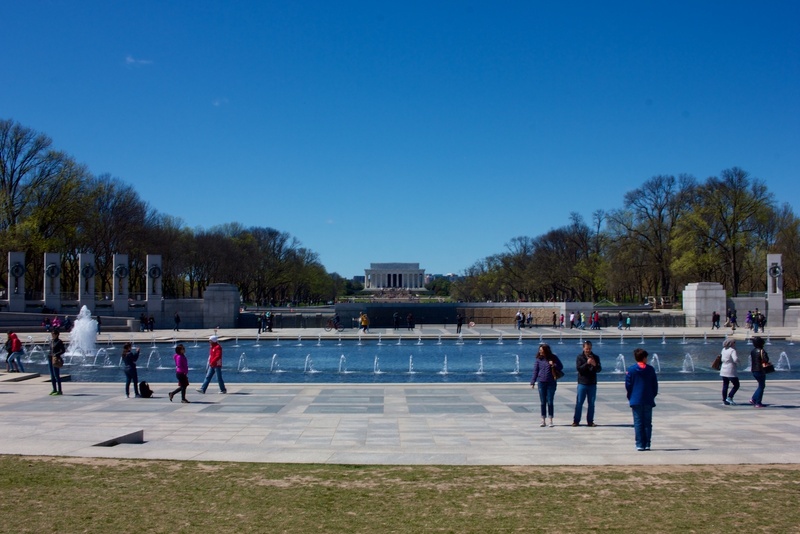 The Freedom Wall is found on the western side, complete with 4,048 gold stars: one for every 100 Americans who died during the war. 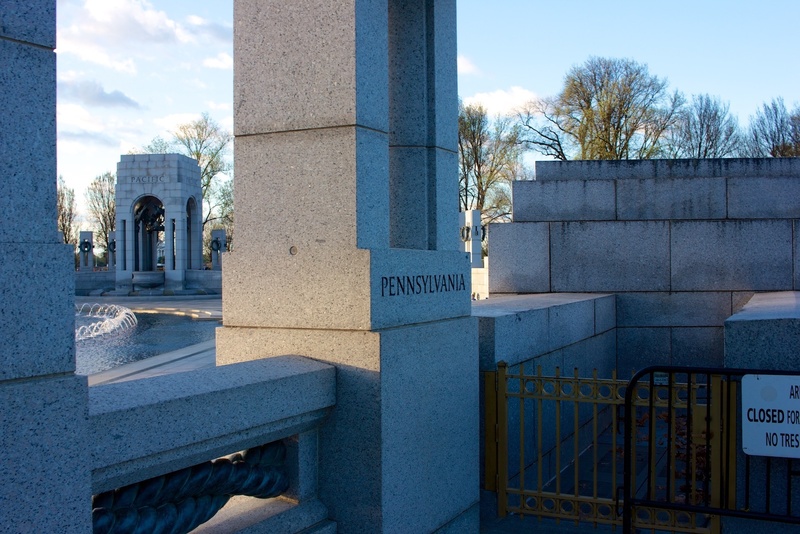 A more playful detail is the two obscure “Kilroy was here” messages found behind the service gates on either side. 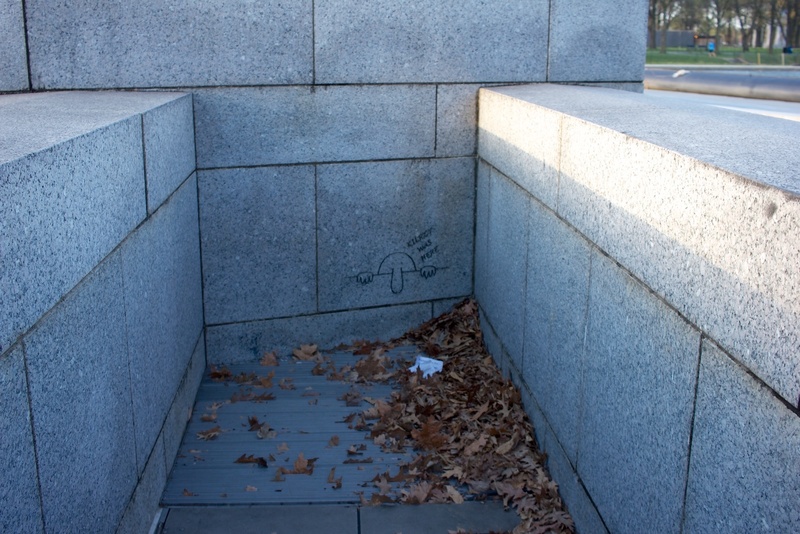 This is a nod to the popular graffiti doodle at the time, which was co-opted by World War II troops and found scribbled in many European locations. 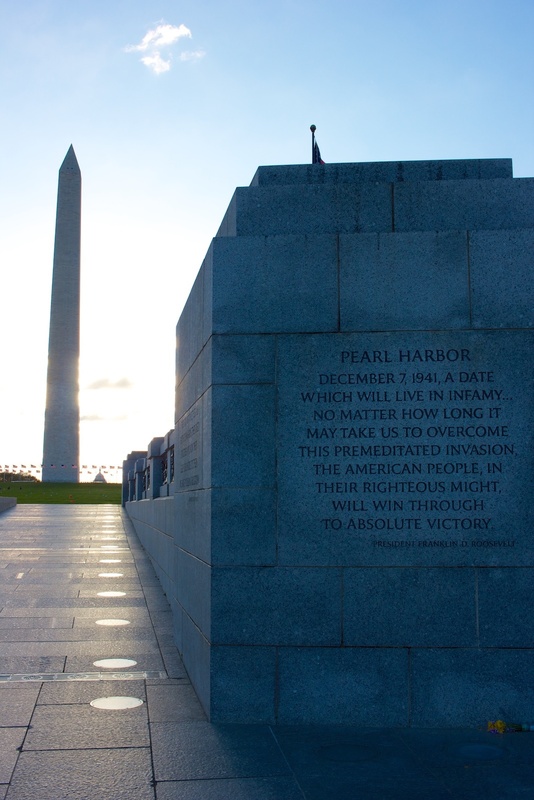 It became something of a secret rallying cry for the people in war-torn areas. 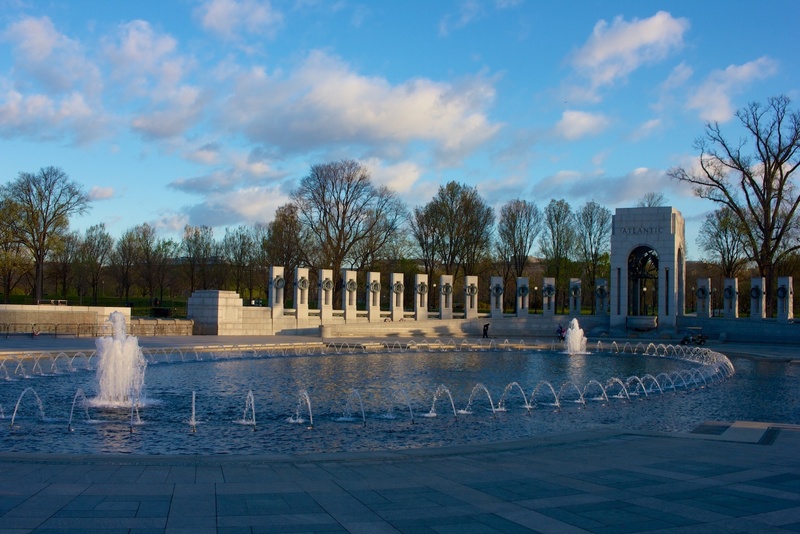 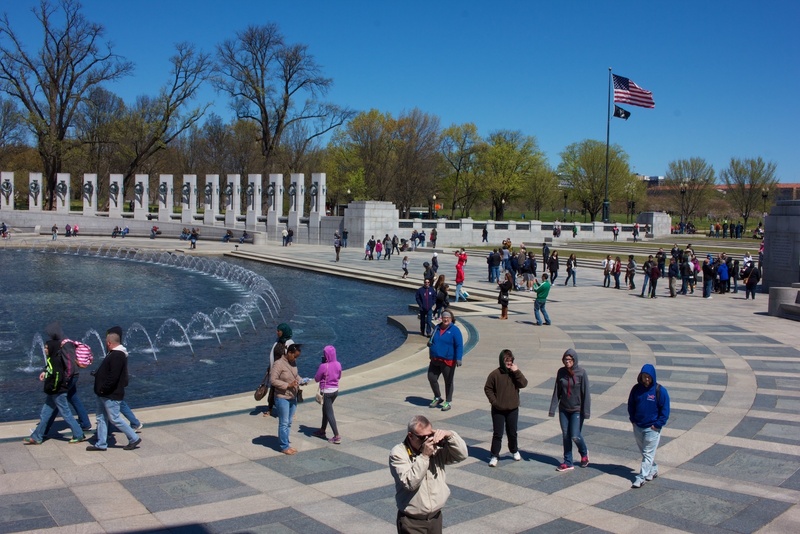 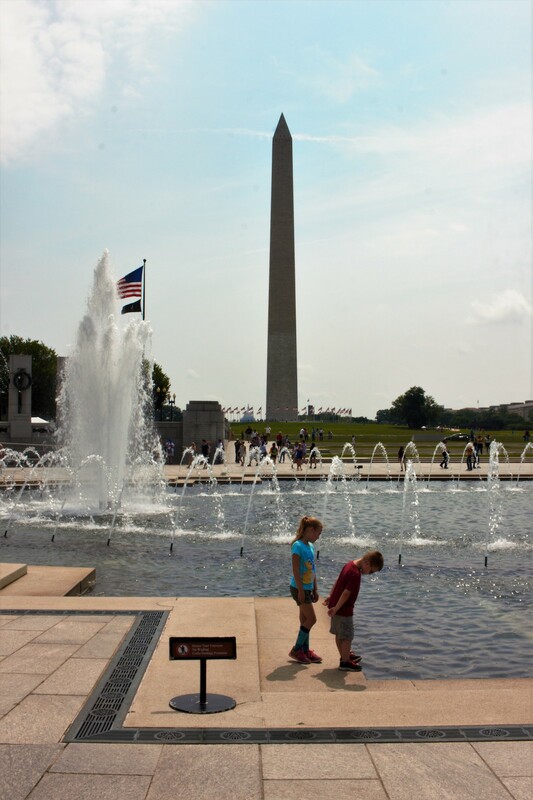 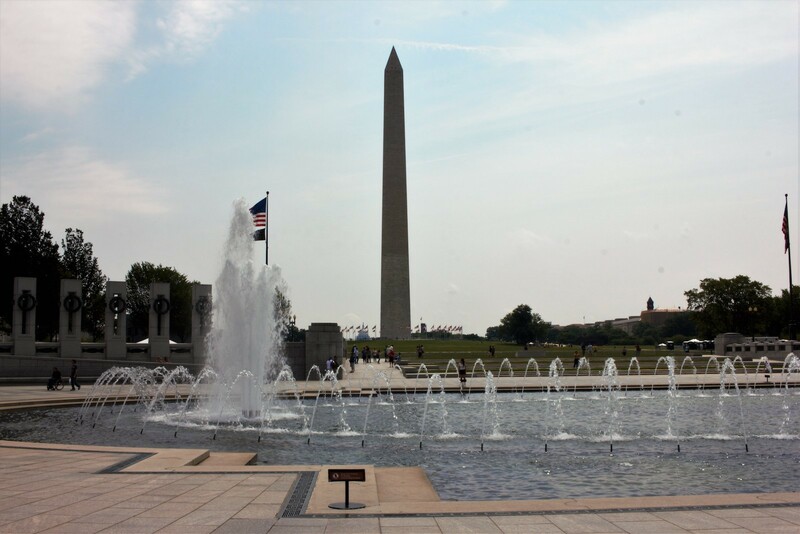 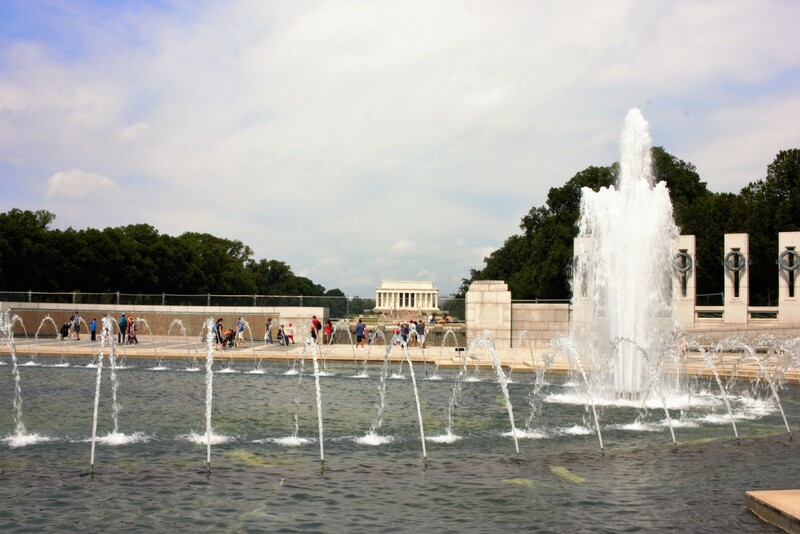 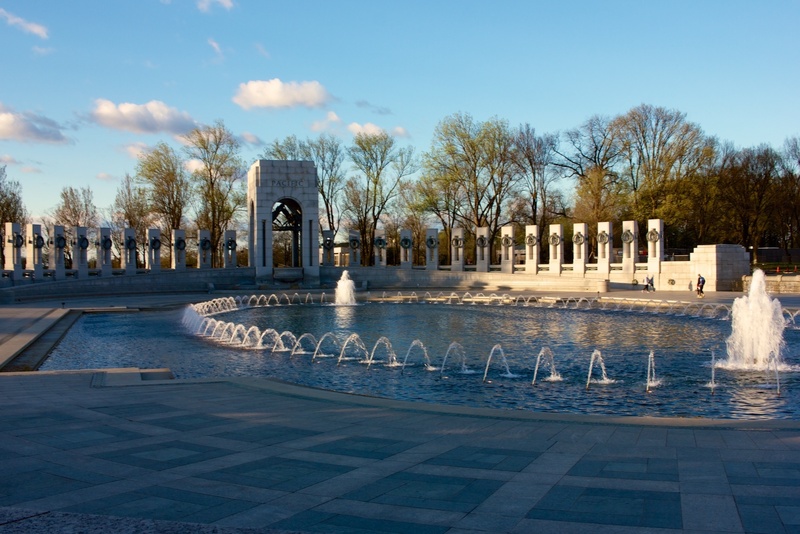 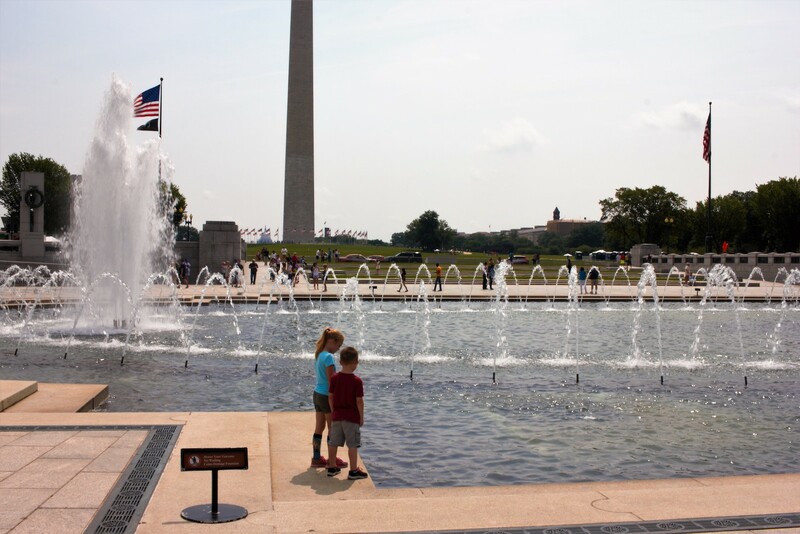 The World War II Memorial was designed to be a space, rather than an imposing structure like the Washington Monument and Lincoln Memorial that it sits between. 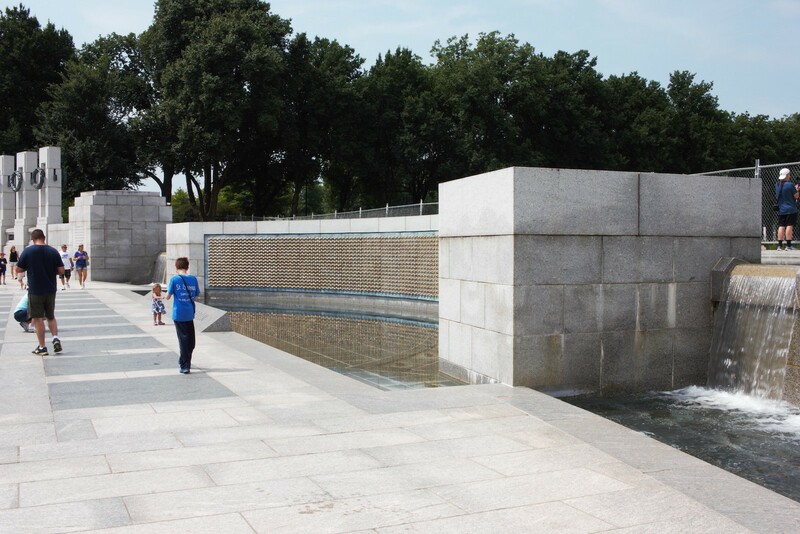 Sunken six feet into the ground, the memorial gives unobstructed views of its mall neighbors. 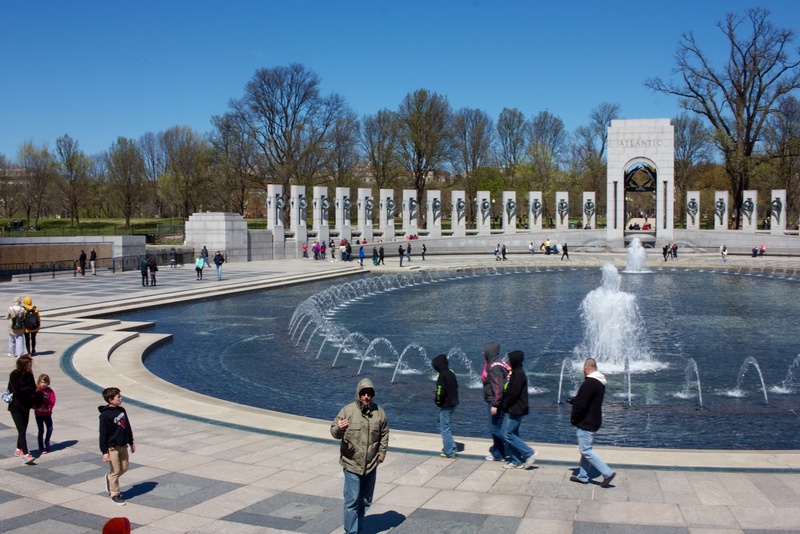 Unfortunately, the starkness and hard edges of the memorial don’t draw the eye and, although the fountain is pleasant, the veterans of this Great War deserved something more poignant. 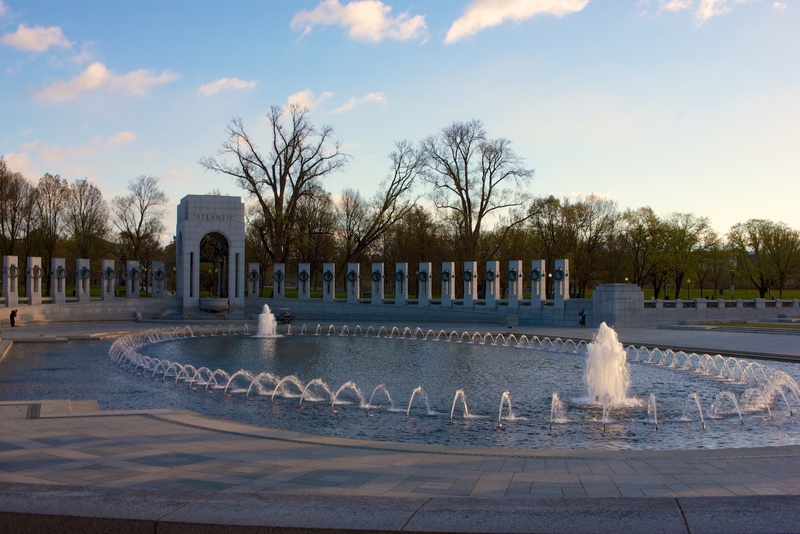 While many will find the reminders of World War II powerful, the area serves better as a lovely spot from which to see more striking structures.